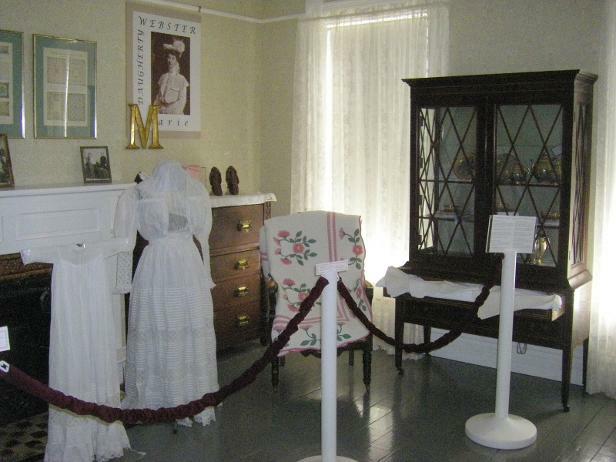 The Museum is nationally known to quilters and in 2004, the Quilters Hall of Fame opened in Marie's home. There is a library, museum store, a sitting room and flower garden. Associated with the museum is the Marie Webster Quilt Guild whose members make many of the craft pieces in the store. For more information about the house's journey from "tear down" to the National Register, go here. 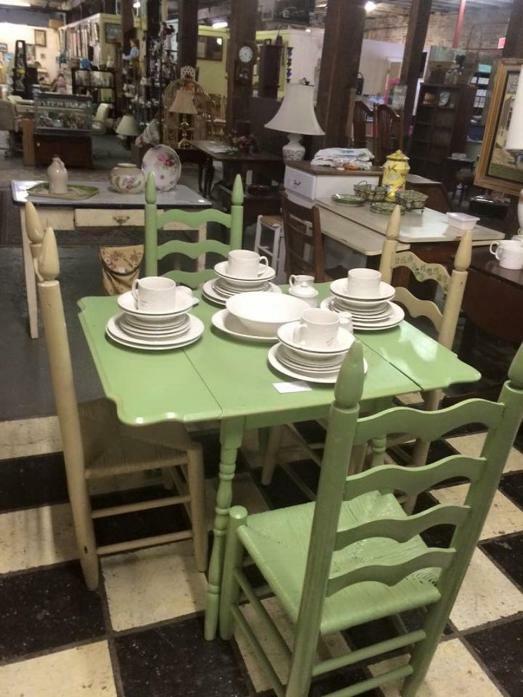 The Treasure Mart Antiques Mall is a fabulous place to browse and shop. It's a very clean environment located under one roof with 25,000 square feet of fine antiques, memorabilia and collectibles of 70 dealers conveniently displayed on one level for shopping. In 1887, Monroe Seiberling of Akron, Ohio came to Kokomo to open the Kokomo Strawboard Company which made shoe boxes out of straw. The company employed 75 people. Within 6 months, Seiberling's uncle, Frank Seiberling, sold the Strawboard Company and opened the Diamond Plate Glass Company. Construction on the mansion began in October, 1889 at a cost of $50,000. Construction finished in about two years. In 1972, the Seiberling Mansion was listed on the National Register of Historic Places. 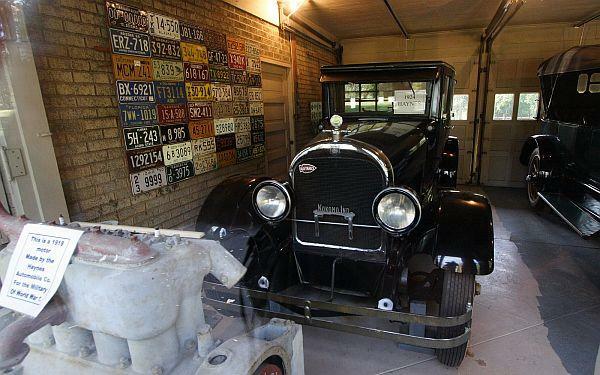 It is located in the Old Silk Stocking Historic District. This motor tour is a fund raiser for the Madison County Historical Society and is managed and planned by our member volunteers. ALL TIMES ARE ANDERSON TIME. The motor coach will be available for boarding at 7:15 a.m. at the south corner of the Pay Less Shopping Center parking lot at Cross Street and Scatterfield Road. We will depart promptly at 7:35 a.m.
Donuts, orange juice and bottled water will be available during the morning drive. Also, Harry has promised a variety of games and puzzles! We plan on arriving at the Marie Webster Quilt Museum at about 8:15 a.m. Boarding the coach at 10:05 a.m., we drive to the Elwood Haynes Home for a self-guided tour. At 11:30 a.m. we will make a lunch stop at the Half Moon Restaurant. 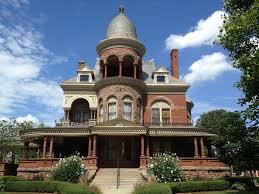 At 1:15 p.m., we will go to the Seiberling Mansion for a guided tour. At 2:25 p.m. we will board the coach for the Treasure Mart Antique Mall for some shopping and browsing. They do have a snack shop there. Our next stop will be the Greentown Glass Museum. At 4:45 p.m. we motor back to the Pay Less in Anderson for a 5:30 p.m. drop off from the trip. Please join us on this most interesting and fun filled day "on the road" with Otto and Harry. A final mailing of details and instructions will be distributed to participants on April 23, 2018. Lunch and dinner cost is the responsibility of the guest traveler. This trip will be available exclusively to members of the Madison County Historical Society and their guests until April 5, 2018, after which it will be open to the general public. We will sell 38 seats on a 40 passenger motor coach. Complete payment must accompany all reservations. All sales are final and not refundable. Included: motor coach, driver's gratuity, donuts and juice, admission fees for the guided tours. NOT included: coffee or tea(or BYO), costs of lunch. Please note: If you pay and cannot attend, please let us know. If we have a waiting list, there may be someone to buy your seat. For questions and more information, please call Milt Otto at 765-683-1526 or Harry Kirchenbauer, 765-734-1495.